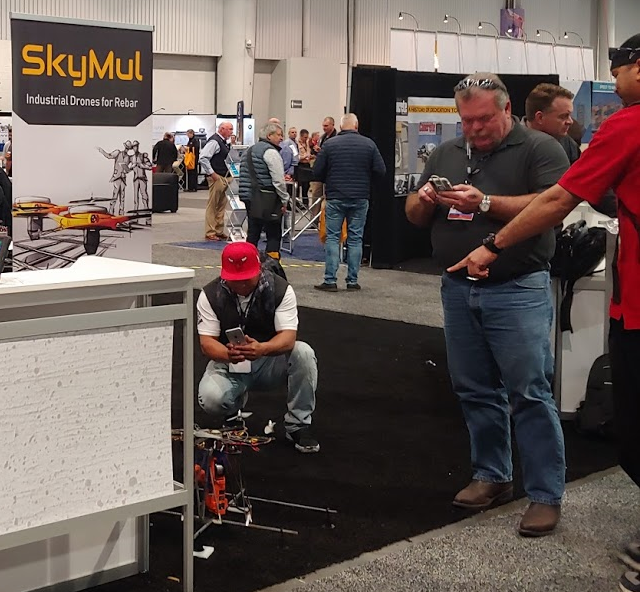 SkyMul shows off SkyTy at this year’s World of Concrete (WoC) at the Las Vegas Convention Center. The team was selected to be part of the inaugural Start Up Zone made possible by the ACI Foundation’s Strategic Development Council. ACI is the industry body working to set the standards and best practices for the concrete construction industry. World of Concrete, with over 60,000 attendees and 1,500 exhibitors, it is the 2nd largest annually hosted show in Vegas. The SkyMul booth kept a consistent pace attracting visitors from Australia, Europe, South and North America. During the show, the team took time to visit other exhibitor booths gaining insight from equipment and material suppliers. WoC 2019 was a large success bringing connections to a wide non-geographically restricted customer base as well as gaining rapid exposure to key sales channels and partners. Missed us at World of Concrete?! Don’t worry stay connected with either of the boxes below. Stay current with the latest SkyMul news by joining our mailing list below. Schedule a call by filling out this form and lets see what SkyTy means for your project.